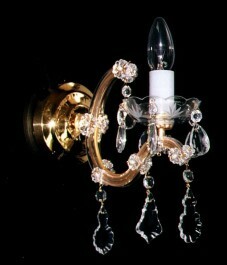 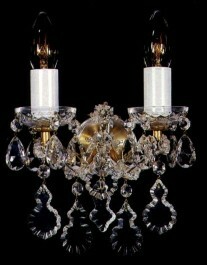 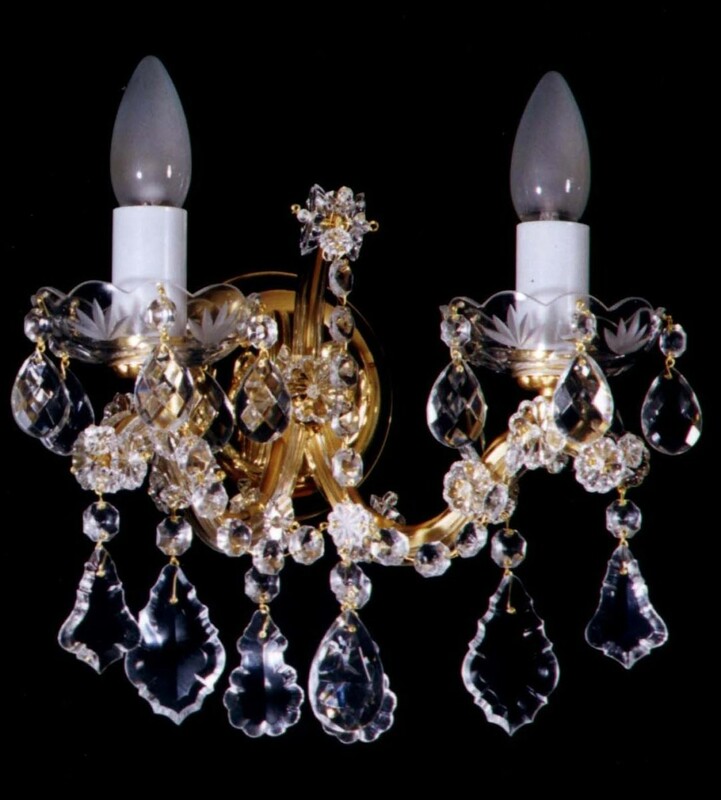 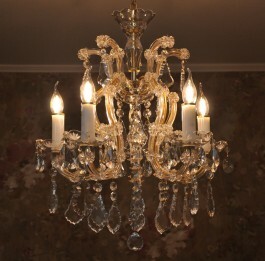 Stylish Maria Theresa wall light with two candle bulbs. 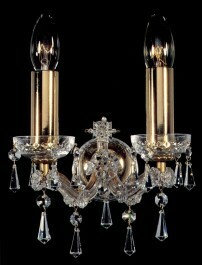 Beautiful additional illumination of an apartment, corridor, or staircase. 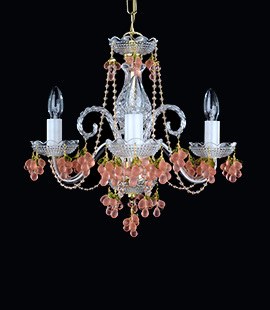 Dimensions (W x H x D): 23 x 24 x 24 cm/ 9.4"x9.8"x9.8"
Glass light dishes (bobeches) can be easily adjusted according to your selected Theresian chandelier, to form a set.